The Native Arts and Cultures Foundation (NACF) has awarded its first Mentor Artist Fellowship to 12 artists in three regions of the United States: the Pacific Northwest, Southwest and Upper Midwest. The awardees reside in Alaska, Arizona, Minnesota, New Mexico, Oregon, Washington and Wisconsin. Beginning in July, each artist will mentor an emerging American Indian or Alaska Native artist apprentice for one year. The awardees are accomplished Native artists of 10 years or more in Traditional Arts or Contemporary Visual Arts, and are enrolled in an American Indian tribe or Alaska Native corporation. The Fellowship includes a monetary award of$30,000 per artist for a total of $360,000 awarded in fellowships. In Contemporary Visual Arts: Dyani White Hawk, Sicangu Lakota, mixed media. 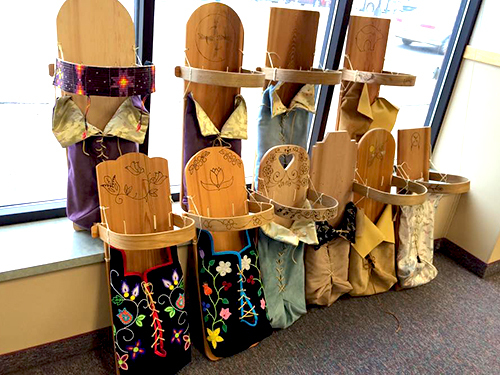 In Traditional Arts: Wayne Valliere, Lac du Flambeau Ojibwe, birch bark canoe making; and Delina White, Leech Lake Ojibwe, regalia/apparel, accessory making. The Native Arts and Cultures Foundation’s mission is to promote the revitalization, appreciation and perpetuation of American Indian, Alaska Native and Native Hawaiian arts and cultures through grant making, convening and advocacy. NACF has supported a total of 251 awards for Native artists, organizations, and advocacy efforts in more than 30 states and the District of Columbia. For info about the Fellows, visit: www.nativeartsandcultures.org. Native Americans in Philanthropy (NAP) has announced the first round of #GenIndigenous Response Fund grantees. 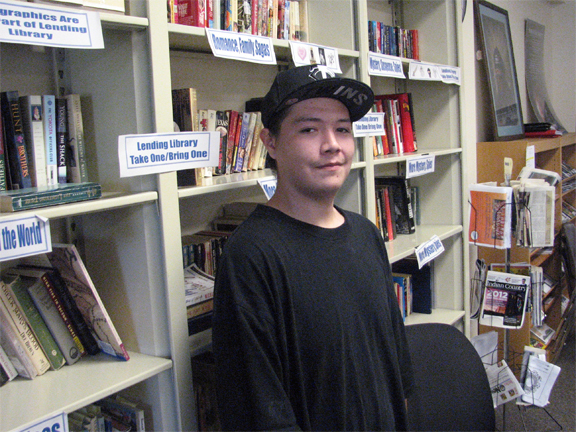 The Fund provides grants to selected groups of up to $5,000. 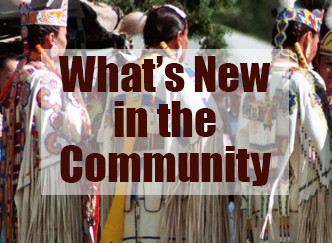 Grant focus on strategic communications, education, workforce development, juvenile justice, resiliency, traditional knowledge, sustainability, environmental justice, health, and trauma and healing. The #GenIndigenous Response Fund was established in December 2016 in support of youth organizing and activism responding to current movements. Grantees include Coalition to Stop Violence Against Native Women, Dream of Wild Health, Little Colorado River Watershed Chapters Association, Lummi Youth Canoe Family, Native Nations Institute, Nature Rights Council, Sacred Pipe Resource Center, Selfridge High School Student Government & Missouri River Education Cooperative collaboration, Standing Rock Community High School Close Up program and Spark*San Francisco Public Schools. Leech Lake Financial Services has been selected to participate in the Solar in Your Community Challenge from the United States Department of Energy. The challenge includes a prize of $5 million and is a competition’s goal to expand solar electricity access to low and moderate income families. Over the next 18 months, Leech Lake’s Team Wasaya (Power of the sunshine in Ojibwe) will be researching and developing innovative approaches that enable low and moderate income families, non-profits and non-federal governments in Leech Lake and Cass Lake to access solar power. The Leech Lake team is comprised of multiple agencies including tribal, state, county and city as well as educational programs, financial foundations and other private sector members. The Shakopee Mdewakanton Sioux Community Gaming Enterprise, which includes Mystic Lake Casino Hotel and Little Six Casino, has been awarded the 2017 TIPS Award of Excellence from Health Communications, Inc., the providers of the TIPS (Training for Intervention Procedures) Program. Since 2012, Mystic Lake and Little Six have provided the TIPS responsible alcohol training program to team members, helping them build positive prevention and intervention skills. The SMSC Gaming Enterprise is one of four award recipients nationally in the casino and gaming category for its successful TIPS responsible alcohol training program. Since the SMSC Gaming Enterprise began using the TIPS program, it has provided 473 classes and certified 3,380 team members. Eight Gaming Enterprise staff are currently certified TIPS program trainers. The Leech Lake Band of Ojibwe has been awarded more than $900,000 from the Department of Transportation to improve tribal roads. The $950,175 grant will address transportation safety issues on tribal lands, and will be put toward safety planning, engineering improvements, enforcement and emergency services and education for tribal communities.